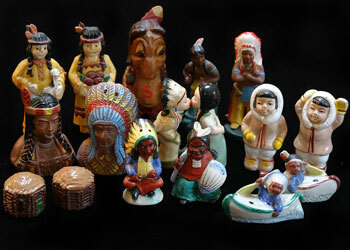 It all began innocently one Thanksgiving several years ago. 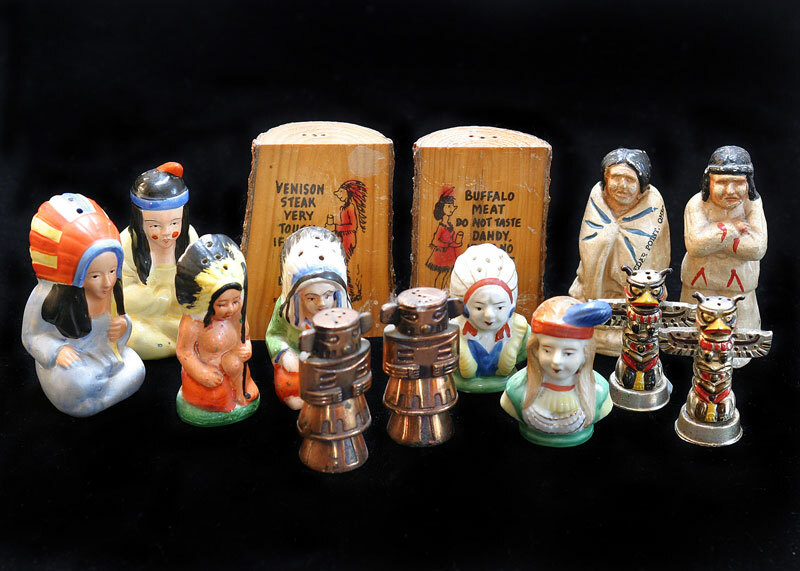 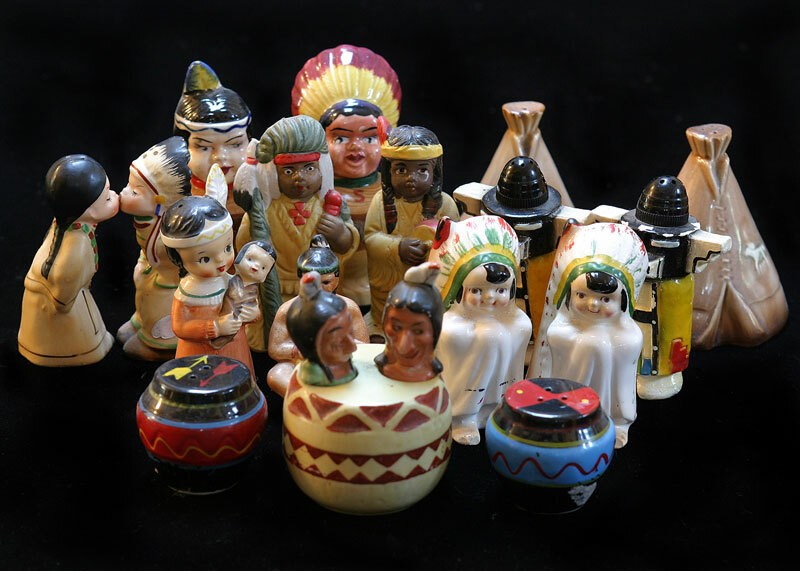 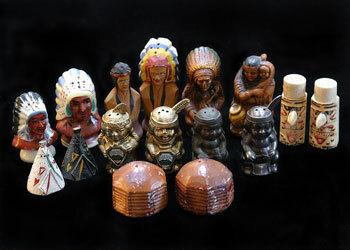 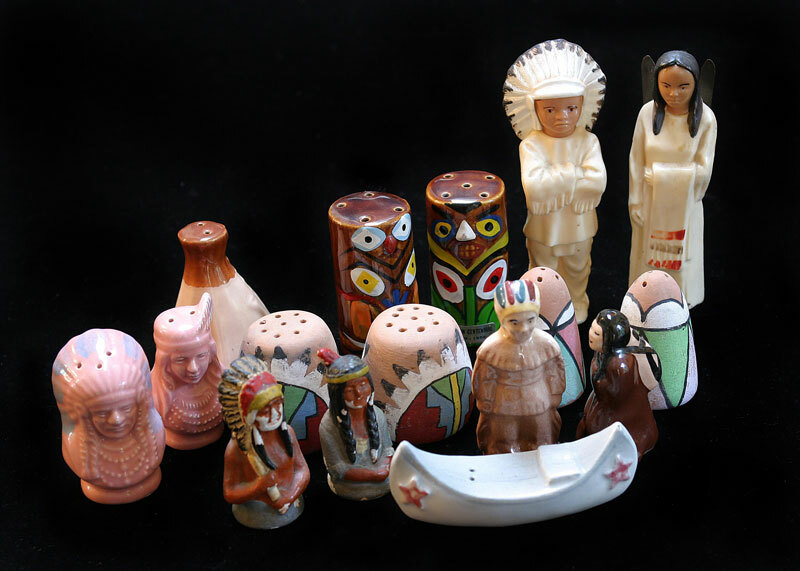 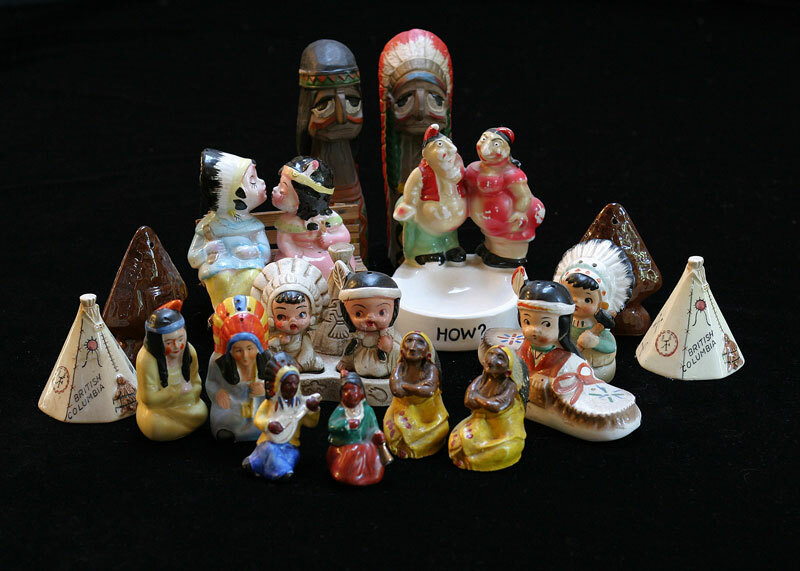 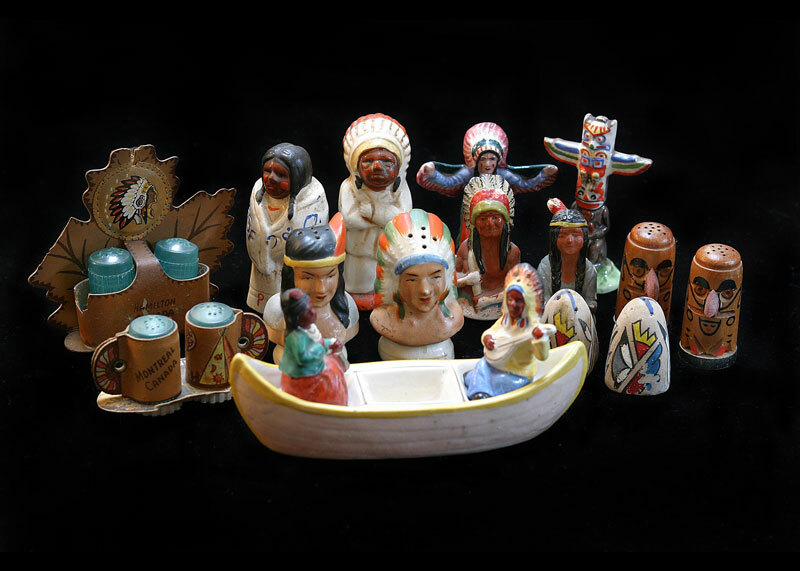 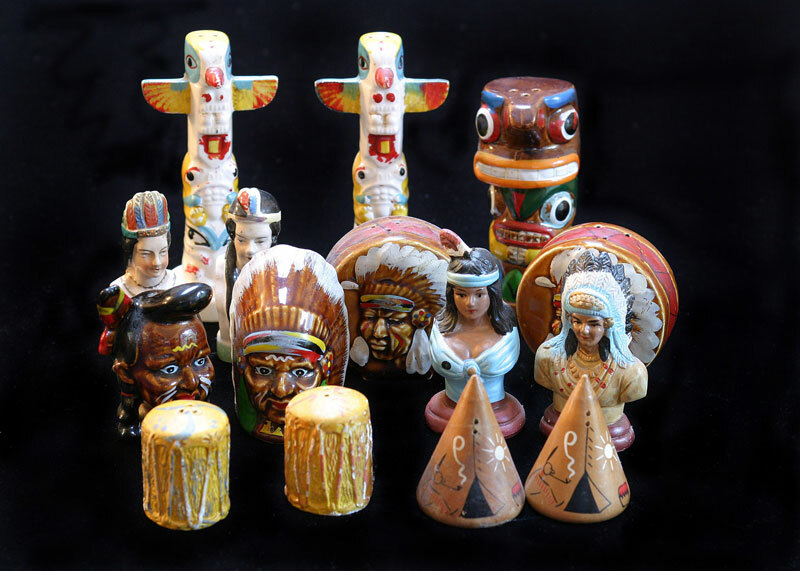 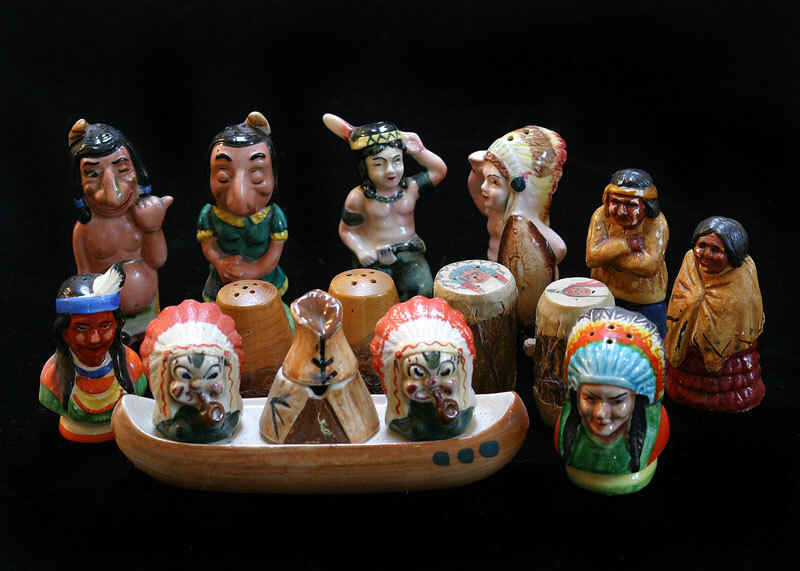 I wanted all my guests to have their own Native American style salt and pepper shaker on the table. I searched many antique shops to find 10 sets of politically incorrect and homely enough to be charming, pairs to take home. The dinner was a great success enhanced by the enjoyment of the salt and pepper shakers. My intention had been for everyone to take a set home with them. 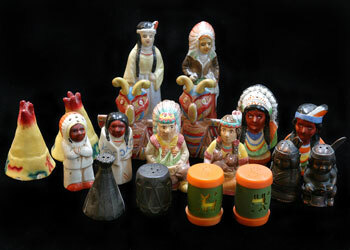 My guests rebelled and insisted I keep them. From that point on, friends and family have added to the original 10 to create a collection of 250 wonderful sets. Art history and appreciation takes many forms. This is one.